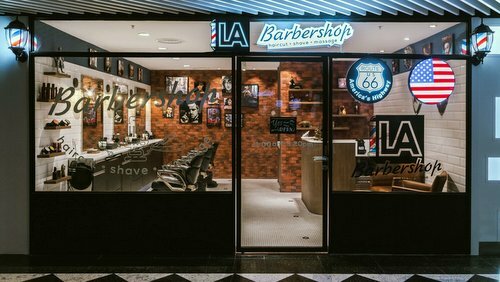 Bespoke grooming hair salon LA Barbershop has four locations in Singapore, including one within Jurong Point shopping centre (1 Jurong West Central 2). A hair salon concept by Japanese Komars Group, LA Barbershop offers completely bespoke, exclusive grooming experiences. The hair salons’ services range from shaving to haircuts, massages to ear-cleaning services. LA Barbershop’s concept has been created around the idea of evoking a sense of nostalgia in men, as a place where men can gather to discuss everything from business to sports to current affairs while enjoying the pleasures of professional men’s grooming services. The official LA Barbershop Facebook brand page is located at www.facebook.com/LABarbershopSG/. Following the Facebook page, you’ll get updates about the hair salon’s latest promotional offers, hair grooming tips, and much more.